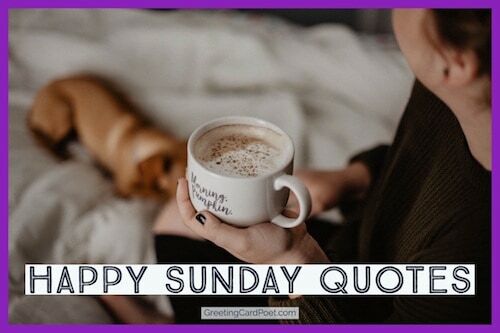 Happy Sunday quotes can give hope, and inspire inspire you to have a better and brighter week. They’re the perfect way to start the week. This day gives you all the time you want to spend with friends and family. 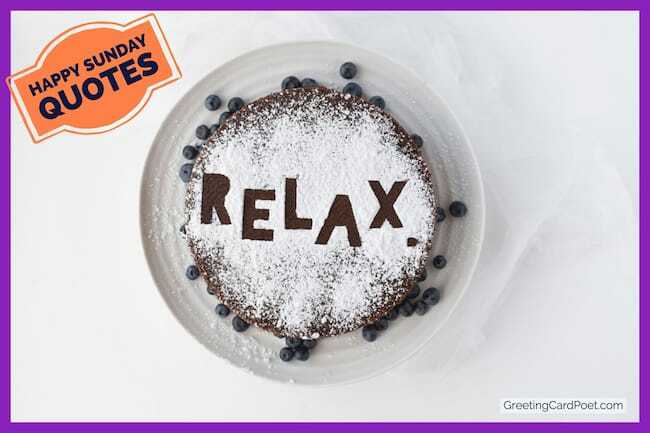 Whether you want to spend it relaxing, or playing with friends or kids, it rejuvenates you for the coming week. So, grab a cup and coffee, relax and take your time reading through these insights on the first day of the week. Snuggle by the fire, read a good book, have a hot cup of coffee (or two), watch an old movie, relax and enjoy the day. If Sunday is the Lord’s day, then Saturday belongs to the Devil. It is the only night of the week when he gives out Free passes to the Late show at the Too Much Fun Club. 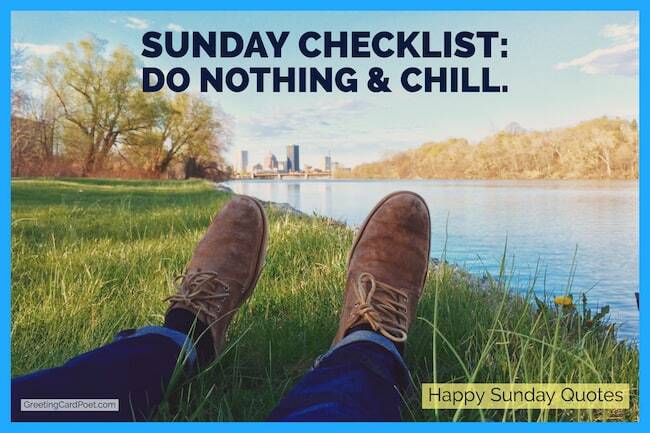 Sunday checklist: do nothing & chill. It’s the day of rest, therefore I am 100% motivated to do nothing today! If your Sunday doesn’t involve wine & yoga pants you’re doing it wrong. Now where is the remote so I can hit the rewind button. It’s Sunday. 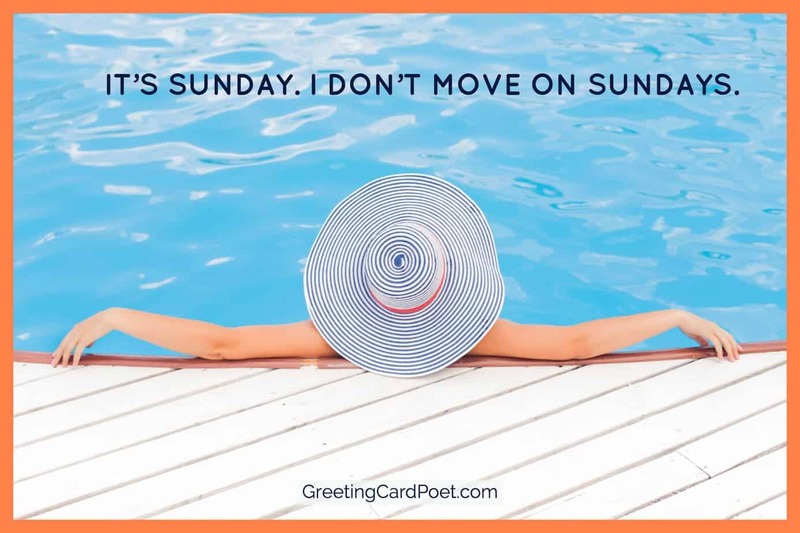 I don’t move on Sundays. It’s not that we spend five days looking forward to just two. It’s that most people do what they enjoy most on those two days. 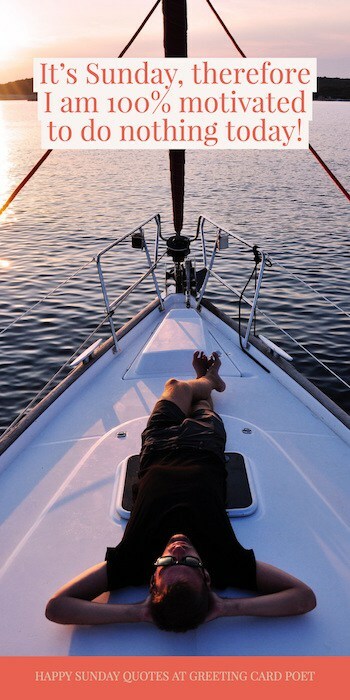 Imagine living a life where everyday are your Saturdays and Sundays. Make everyday your weekend. Make everyday a play-day. This is Sunday, and the question arises, what’ll I start tomorrow? You might like our Good Morning Messages, Texts and Memes. Start this Sunday with a clean heart. No doubt, no tears, no fear, no worry. Life is a Sunday there are bad days ahead and behind, but it’s all OK if you live for today. True beauty is the slick of red lipstick my paternal grandmother would put on before going to church on Sunday. So that Sunday morning I ended up going to church and that’s when I got saved. I love waking up to Sunday morning pancakes. The whole process of making them, just out in the kitchen together making pancakes on a Sunday morning; that’s an experience every girl should have. A Sunday morning spent reading the paper together, maybe drinking some mimosas, alone, and talking until noon. That would be pretty amazing. I’m going to marry a Jewish woman because I like the idea of getting up Sunday morning and going to the deli. Sunday on the beach, having sea shells in the pocket, sand in the shoes, was the day to refuel our souls and be grateful for the blessings. Sunday a day to refuel your soul and be grateful for your blessings. Sunday is a perfect day to choose a new path in life, don’t be afraid of changes, they come when they are really needed. Have a blessed Sunday. Let this Sunday be a rainbow for the entire upcoming week. Happy Sunday!